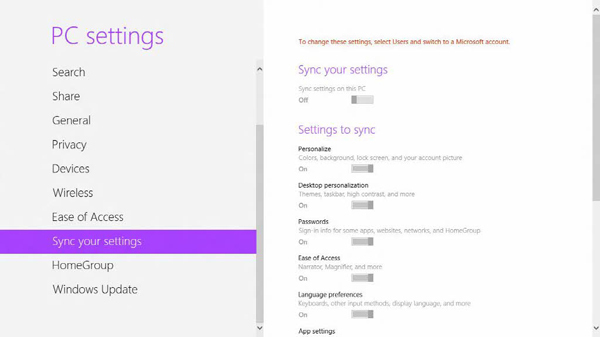 [Windows 8] What is 'Sync your settings' in the PC Settings? Windows 8 provides this service for users with multiple PCs. any PC in the same manners, by signing in with their Windows Live ID. "Settings charm → Change PC Settings → Sync your settings". You can remove this sync all at once or by type. [Windows 8] How to downgrade OS from Win 8 to Win 7. [Windows 8] I want to install either Windows XP or Windows 7.